When I was looking up Birdman before I went to go see it, I discovered that quite a few people had watched it and then came back disappointed after watching “the worst superhero movie ever made.” Despite the beaked Birdman figure on many of the posters, Birdman is not a superhero movie. Though to be fair, there is a superhero in it. Even though Birdman isn’t really about the Birdman, in a strange way the movie is entirely about the Birdman, a once hugely popular multi-movie superhero character played by Riggan Thomson (Michael Keaton), an aging movie star who has since had his proverbial famous wings clipped and is now trying to regain relevancy and acclaim by adapting Raymond Carver’s “What We Talk About When We Talk About Love” for Broadway. The Birdman character haunts Riggan from the shadows, a perpetual reminder of a fame long lost and a grim specter of doubt that perhaps Birdman is all there is to Riggan Thomson, that the newly academic and artistically sensitive Riggan Thomson is nothing but a hack. Riggan keeps himself distracted from his own crushing doubts and hallucinatory ruminations by surrounding himself with a motley crew of actors and what fractured family he has remaining as he does his inexperienced best to direct, produce and star in a Broadway play. With the bones of the matter out of the way, I can say this: Birdman is great. The writing is great. The acting is great. The directing is great. The cinematography is especially great. Birdman is blessed with a quotable script, but not in that earworm way that you might think of “quotable.” This is no Napoleon Dynamite, which is somehow witty and pithy almost in spite of itself. 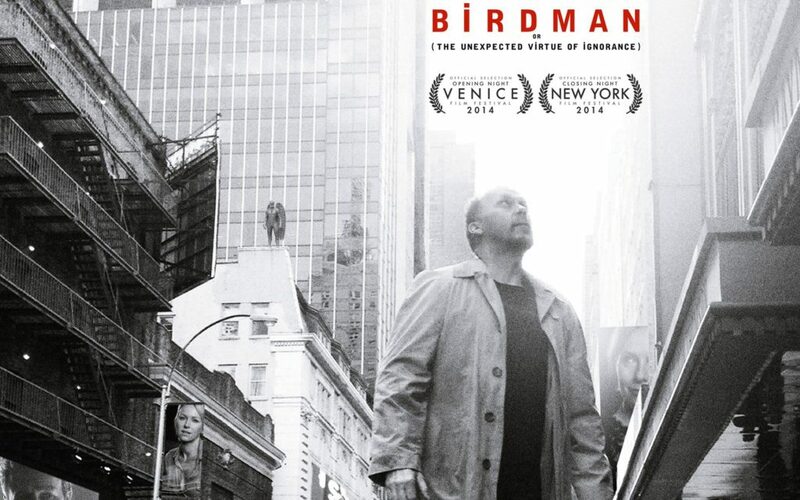 Birdman is quotable in the sense that everyone who goes to see the film is going to hear at least one line of dialogue and think to themselves, “That’s exactly how I feel and I can’t believe I never thought to say it like that before.” The writing is sharp without being caustic, self-aware without having to beat anyone over the head with it. The pacing of the story feels relaxed yet active, like the film’s events occur organically and in real space-time during each viewing. Each character feels human, a testament to the skill of both writers and performers. The acting here really is superb. If you haven’t been taking Michael Keaton seriously, now’s the time to start. His performance as Riggan Thomson has a kind of honesty that keeps his character from being pathetic – running through Times Square in a wig, stage makeup and tightie whities, Riggan somehow remains compelling and sympathetic instead of sliding into comic relief at his own expense. Edward Norton does a fantastic job at playing a spiked version of himself as the abrasive and militantly naturalistic stage actor Mike Shiner, weaving liquidly between a thespian’s ego and a hurting child addicted to playing pretend. Zach Galifianakis does well in his part as Jake, Riggan’s highstrung lawyer, while Naomi Watts manages to breathe some life into the long-tired archetype of the ingénue as Lesley, a Broadway first timer. An enjoyable but slightly forgettable dose of bluntness comes from Andrea Riseborough as Laura, another actress as well as Riggan’s girlfriend. Lindsay Duncan’s turn as the notoriously brutal and pretentious New York Times theater critic Tabitha Dickinson is the closest we get to a supervillain in Birdman. Tabitha is frigid, and she revels in her position as the gatekeeper of Broadway with infuriating smugness. Amy Ryan brings some firm, much needed gentleness and reflection as Riggan’s cordial ex-wife Sylvia. I wish I found Emma Stone’s character, Riggan’s bitter drug-addicted daughter Sam, as interesting as Mike Shiner did, though Stone acts well and manages not to get lost among an exceptional cast. It’s impossible to isolate the directing from the cinematography in Birdman, as I think they inform one another in comparable measures. Director Alejandro González Iñárritu, who is best known for Amores perros and Babel, initially wanted to attempt to shoot the film as one long take, but settled for clever editing to make most of the film seem like one continuous shot. Days and nights melt together with no jagged edges, the camera lingers luxuriously on a single person as they snake through the corridors of the theater. Birdman is a visual dream. Furthermore, given that actors were required to memorize and perform several pages of choreography and dialogue at a time due to the unusual shooting style, I wonder if such restrictions helped pull deeper performances from the cast. Many movies fail because one or more component parts doesn’t live up to the flavor of the rest – a shoehorned romance, lazily-constructed emotional stakes, exhausted jokes, fantasy that doesn’t feel quite human enough to be relatable. Birdman accomplishes the insanely difficult task of balancing black comedy, the tragedy of slow self-destruction, a dissolving family, thoroughly enjoyable scenery-munching, ambitious long takes, Chekhov’s gun, fantastical whimsy and even a little bit of old-fashioned yuckyuck slapstick, and balancing it well. 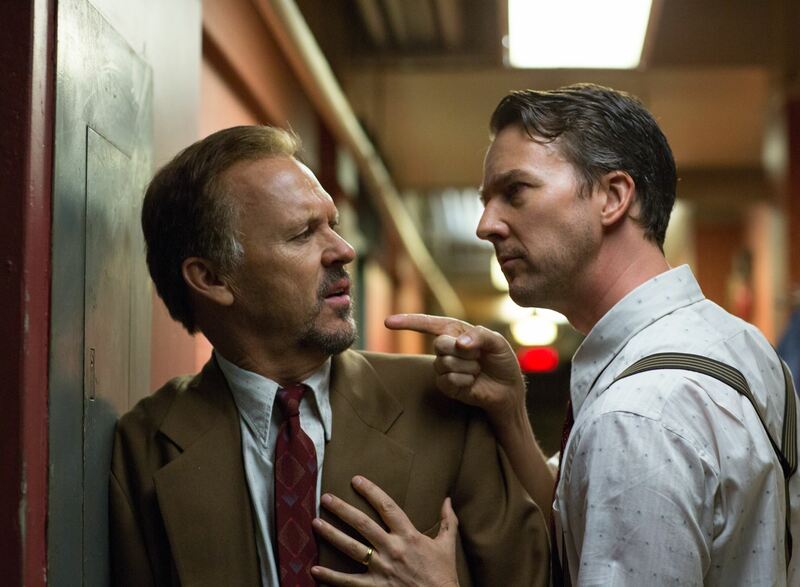 Birdman is a hugely enjoyable and powerful film, and the power is in its layers. 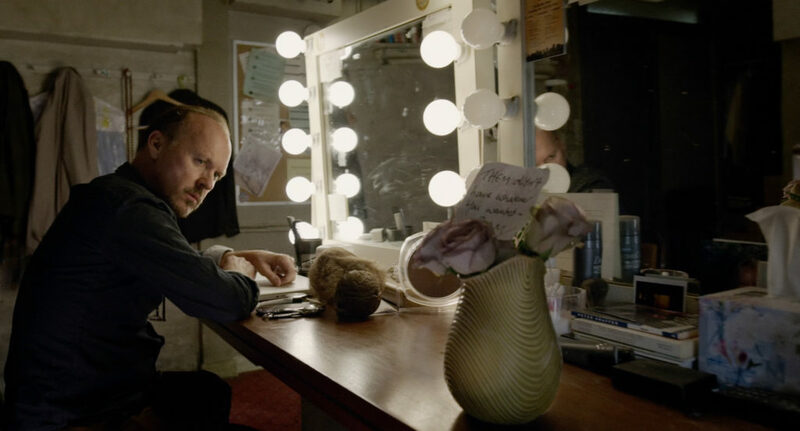 Watching Birdman is like watching a huge, freshly bloomed rose wave in the wind. Petals lift and fall and flutter, exposing the wrinkled inner petals and dirt smudges underneath. Nothing feels gratuitous. What Birdman does expose are questions, and when all is said and done those questions don’t have answers. Even if they did they wouldn’t need any. Despite some loose threads, Birdman feels satisfying at its end. Instead of telling us what happens, Birdman tells us it’s okay not to know. Birdman is well worth a watch, especially now that you'll be hearing about all the bloody time as Oscar season begins to descend upon us. Depending on where you live, it may or may not be still in theaters. It'll probably be streaming somewhere soon. See it however you can. If you've also seen Birdman, submit your rating below or leave a comment! Please let me know if you’re looking for a article author for your site. You have some really great articles and I believe I would be a good asset. If you ever want to take some of the load off, I’d really like to write some content for your blog in exchange for a link back to mine. Please send me an e-mail if interested. Thank you! hiya – thanks for your comment! i am indeed using WordPress for this website. other blog platforms i’ve had experience with are Wix, Medium, Squarespace, and Blogger. Medium is extremely straightforward to use. if you’re interested in purely blogging, i’d recommend their services. It’s free too. Squarespace can be frustrating to use sometimes, and i’ve found less artistic control over how the blog ends up looking. if you check out my personal website http://www.jessiehuang.com and navigate towards the “blogs” section on the upper right hand corner of the homepage, you can check out how blogs look on different platforms, because i link out to my squarespace and medium blogs.